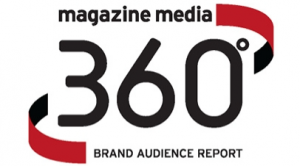 People magazine officially dominated the MPA’s new metric Media 360°, which seeks to quantify how much consumers desire a specific glossy’s content across multiple platforms. People’s total score was 71,395. The next closest magazine was Better Homes and Gardens, with 47,871. The MPA launched Media 360° because the previous way of measuring a magazine’s success — via circulation and/or ad pages — was extremely dated. Rounding out the Media 360° top five was Time (with 44,288), Allrecipes (40,338) and National Geographic (38,947).